Dang I’m tired today. I think the almost 3 weeks is finally catching up with me. It has taken a while. It has only taken about 12 hours walking each day and the odd mountain climb to get there, but today I was just tired as buggery. Not tired in a Bill Murray I’m tired of Tokyo way, but physically tired. Seems like my trip is just about the right length given I have only 2 more sleeps until Oz. What probably hasn’t helped today is the lead picture. Can you guess what I did today at 7am? 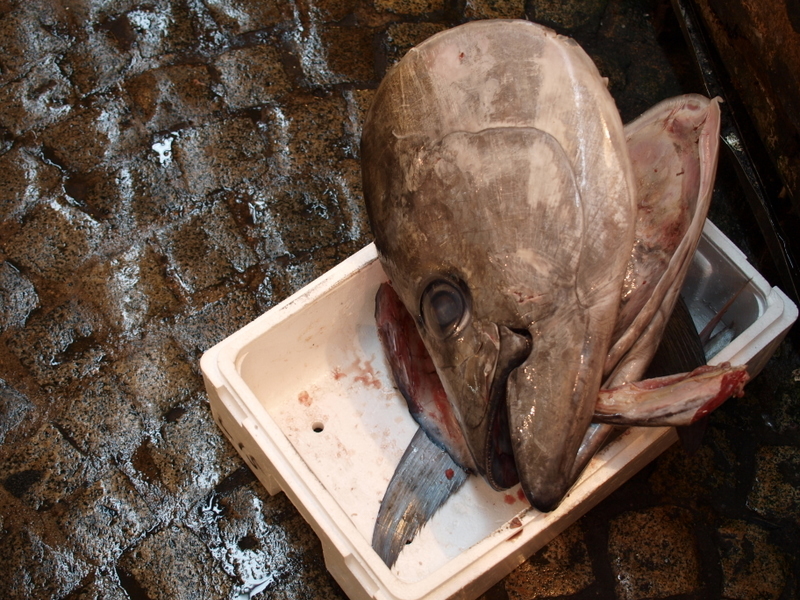 That’s right, visit the Tsukiji Fish Market. The biggest in the world no less. 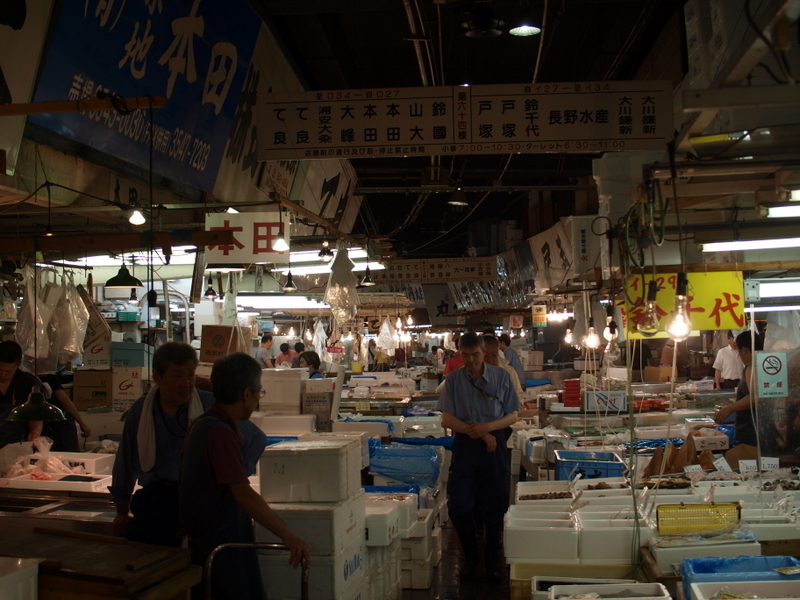 Now I have already mentioned the generosity and overall niceness of the Japanese folks, but the fish market proves that you would be hard pressed to find more accommodating people anywhere. Why? Well, until about 8am the Fish Market is a hive of wholesale fish activity. And here is people like me, a camera round the neck, poking around in the middle of it all. And by in the middle, I literally mean in the middle. 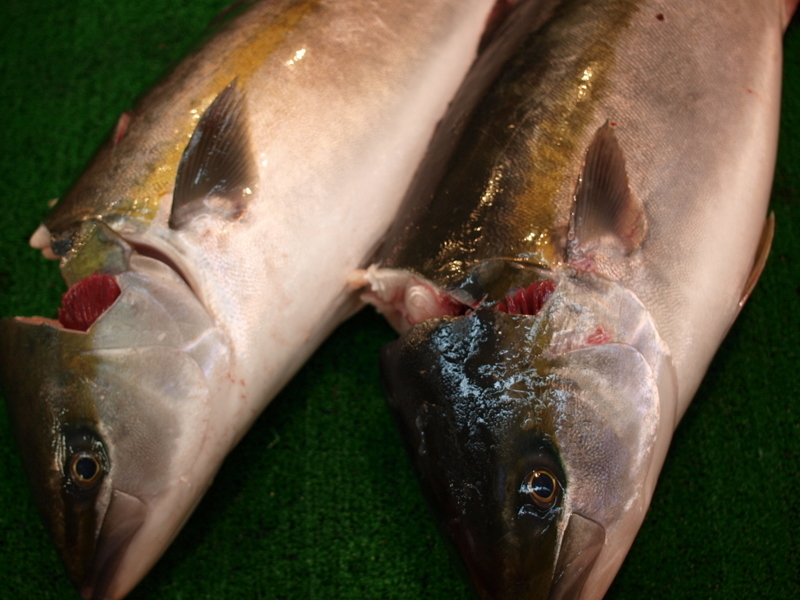 At any stage you can get side swiped by a truck or guy on a motorised trolley, or slip in some fresh fish guts. These folk are doing their jobs and tourists like me feel compelled to poke our noses in. What awesome folk. 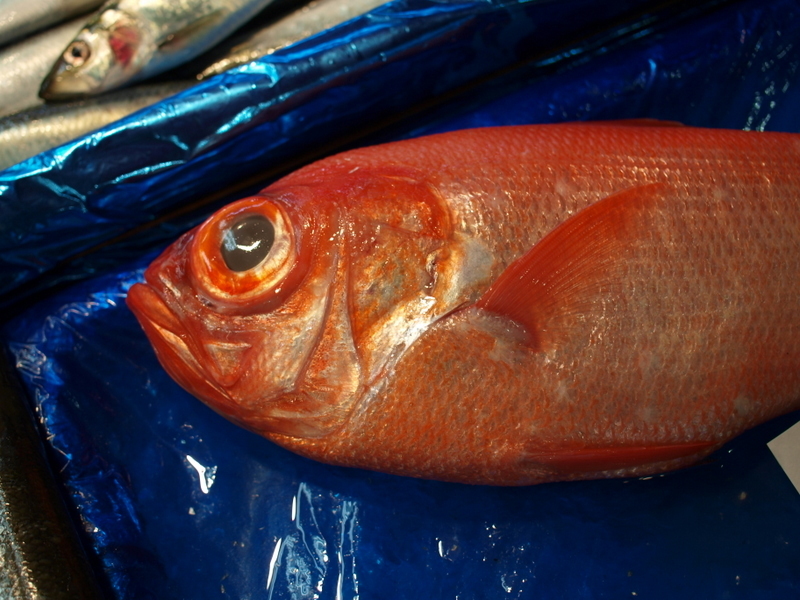 Anyway, back to the fish. It is pretty nuts. 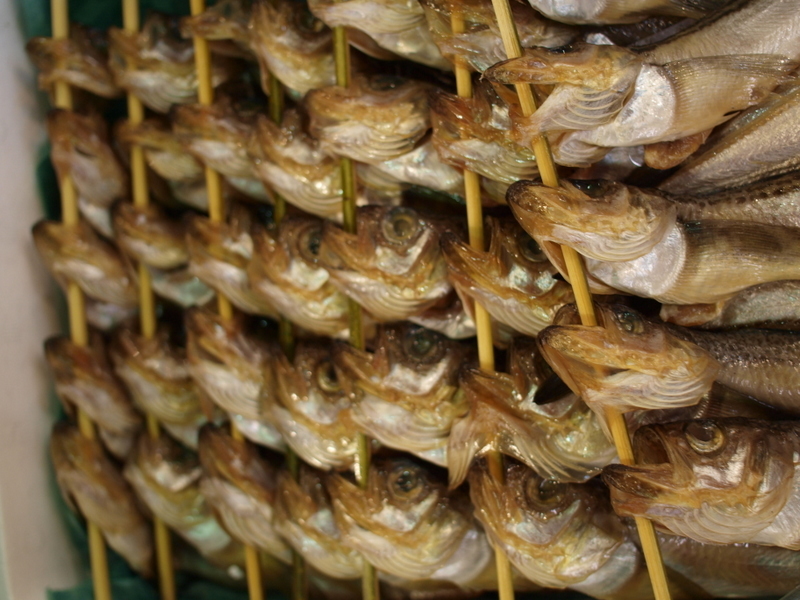 Hundreds of stalls with their days catch. I didn’t arrive for the tuna auction (that starts at a crazy 5am), but this was cool all the same. Cool in a bit of an Iron Chef way actually. By that I mean sometimes the fish are dead, sometimes they are alive, and sometimes you see one get it right in front of your eyes. The eels are the creepiest. My highlight was probably seeing one vendor grabbing what he (presumably) thought were dead eels from one tub, only to have one wriggle out of his hands onto the main counter. I didn’t squeal, but I am pretty sure I did a bit of a double jump. Awesome. 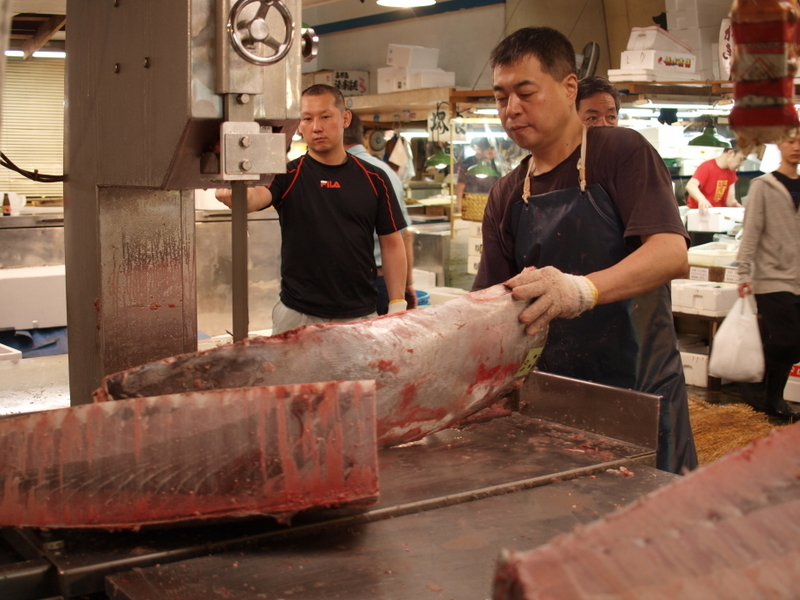 It was also pretty awesome to see big hunks of tuna being carved up in front of your eyes. Now that is some crazy big fish. 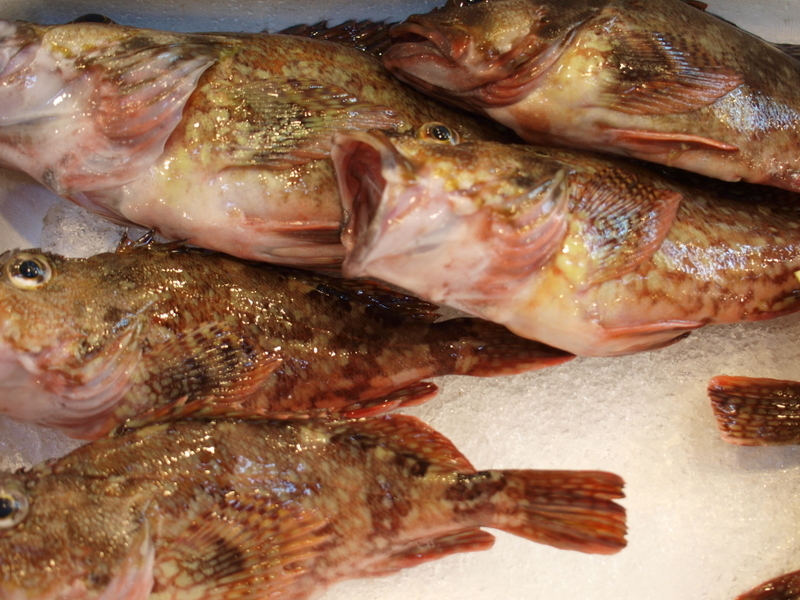 The main tradition for a visit to the fish market is to start the day with a sushi breakfast. Who was I to argue? To be honest it wasn’t on the top of my list of things to put in my body at 9am, but then I had a couple beers at that time the other morning, so sushi seemed quite fine. I found what seemed to be one of the popular spots and lined up waiting my turn. It was all set menu which is fine with me. I went for the smaller collection since I wasn’t really ready to spend about 4000 yen (ie 50+ bucks) for breakfast, and in some ways I regret in now. I may never have a chance to eat any sushi that awesome again. Oh well, mine was pretty darn good. So with a belly full of fish it was time to head off. My original plan was to visit the Tokyo National Museum, however I found out the night before that it was closed on Mondays. Doh. No probs, that could be Tuesday. What to do though? Since I was close to Tokyo Bay, I decided to jump on the monorail over to Odiaba and visit the National Museum of Emerging Science and Innovation (Miraikan is less of a mouthful). While I don’t mind shops, give me a good science museum. What is a bit odd about Odiaba and the bay area is that there isn’t really that much going on. 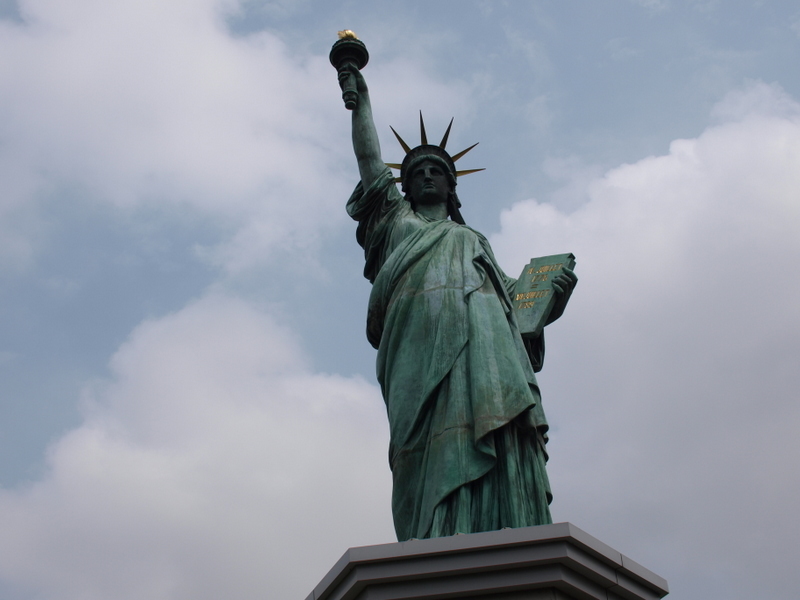 What freaked me out was seeing a baby Statue of Liberty. Um, OK. So I arrived at the science museum. Now I had a feeling it was the case, and the inner otaku in me was pretty stoked to see that the worlds most famous (real) robot was in the house. 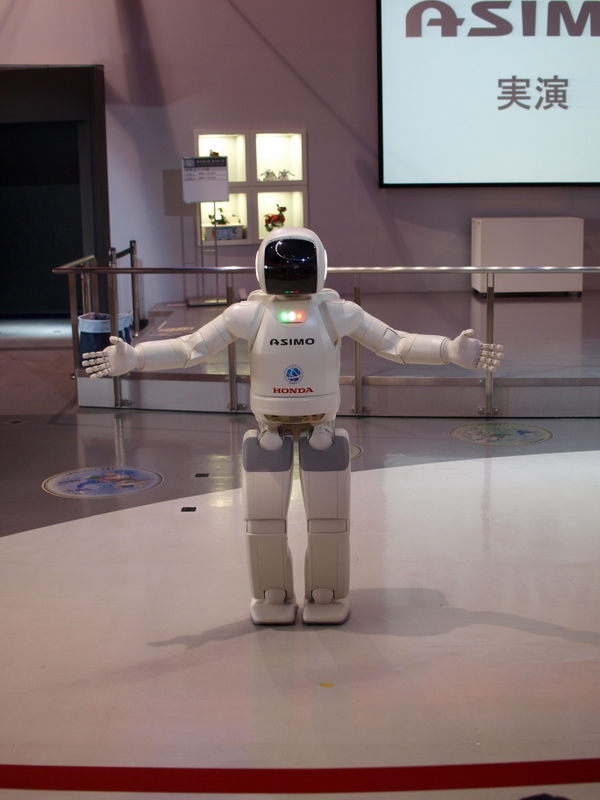 Yep, Asimo lives at the Miraikan. Yes, I was in the middle of these kids. No one noticed. Asimo did his thing early in the piece. He doesn’t really do too much but it was pretty cool to see him in the flesh (or is that metal?). He is kinda freaky to watch walk, but in a pretty amazing kinda way. Oh, he kicked a soccer ball too. He has a pretty wicked left foot. The kids seemed duly impressed (I was too, I won’t hide it). The museum was not too bad. I thought there might have been more Scienceworks type hands on things, but nope. The science was actually pretty up there for kids, all genomes and things. My other stroke of luck was the temporary exhibition that was on. The Contemporary Science of Doraemon. Nice! 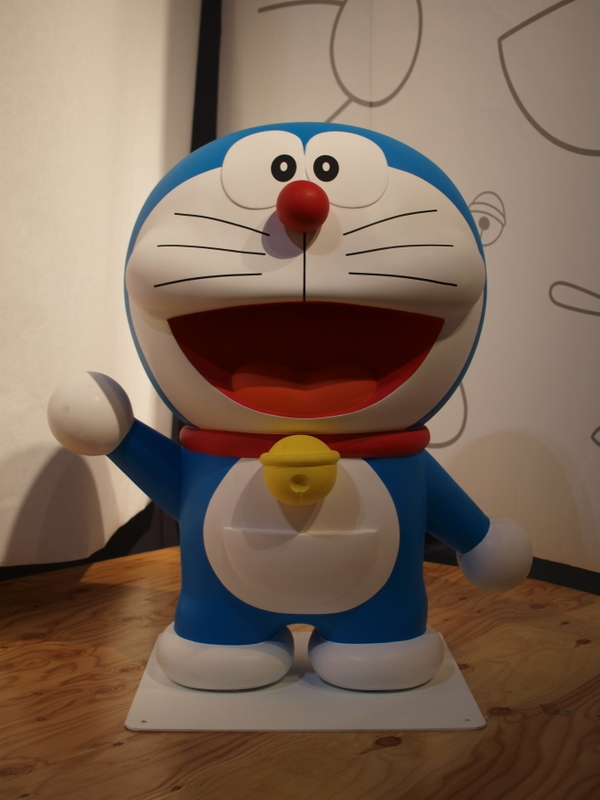 For those of you not in the know, Doraemon is a robot cat from the future and is hugely popular in Japan. 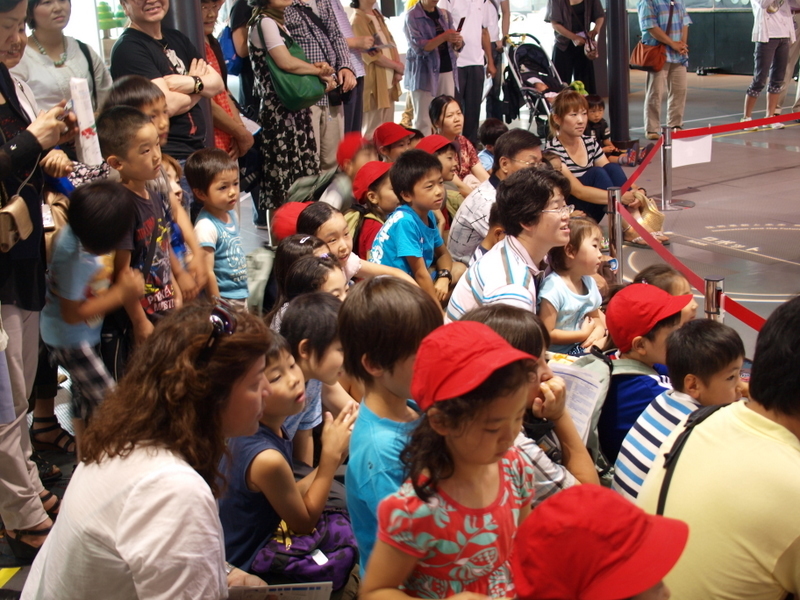 The exhibition was looking at some of the things that go on in the cartoon and how they are now happening in real life. The exhibition was OK, not awesome. In some ways it just seemed a bit of a cash in on the Doraemon name, but it was entertaining nonetheless. That took me to mid-late arvo and I was stuffed. Just plain tired. It was another hot humid day. I didn’t just want to head back to the hostel, so decided to train it back to Akihabara to peruse some shops. No maid cafes again sorry folks, just toys and video games. So it is all winding down. About time probably, as I am just getting a bit run down. But I have something pretty cool on the cards hopefully for my last night here in Tokyo, so fingers crossed it all works out.